Taking your formal first aid training course and obtaining your certificate will make you legally able to work in different industries, but what are the other benefits of getting first aid certified? Many people thought that getting a formal first aid training is a total waste of time and money, saying “it’s just a piece of paper” or “if something happens, I’ll just call an ambulance”. In this article, I am going to dismiss some of the myths surrounding first aid and why is having formal training in first aid is a good investment. 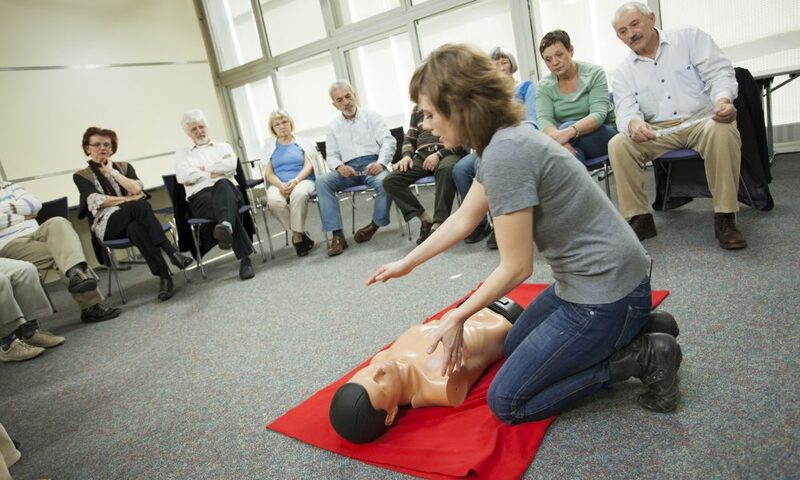 Let’s take a closer look at some of the most important benefits of formal first aid training. We all have people we care about — our kids, family members, friends, neighbours or people from work. If you have children, think about the potential dangers and accidents they face every day. As a parent, you should prioritize your children’s safety first and foremost and to be able to do that, you need to be prepared to handle or deal with a number of different medical issues. Imagine an accident involving your loved ones. Can you do anything to help them survive? The ability to deliver first aid during emergencies could be the difference between life and death. If you’ve encountered an emergency even once in your life, you most likely know the value of a quality first aid training. You can read a book about saving lives for a whole day and still be clueless about what to do when an emergency happened in front of you. A quality first aid training will equip you with all the life-saving techniques in the most comprehensive, cost-effective and efficient way. Effective training can be achieved through descriptive modules, examples, videos and on-skill assessments. Like what I mentioned, one piece of training certificate that you can add to your CV will improve your employability. When it comes to the employment sphere, the best way to make yourself stand out is to have a list of skills to your name that will be of benefit to potential employers. First aid knowledge and skills are valued to every workplace. Most employers would be very Impressed and see you as some someone dedicated, reliable and hold high personal standards — knowing that you’ve gone an extra mile to gain a first aid qualification, without any outside incentive. A formal first aid training will build your communication skills, confidence and the ability to work with others, making you feel empowered and emancipated. A quality training is an incredible confidence booster that leaves you with certainty in attending emergency situations in the workplace, home or public place that requires first aid treatment. Knowing what to do to help, rather than falling into panic gives you a certain level of confidence. It will also give you a piece of mind knowing that you can keep your loves ones and people around you safe and sound. Get your first aid certification in the easiest way possible. First Aid Pro offers a wide range of first aid training courses that could help increase your employability and empowers you to attend emergency situations confidently. Please visit our website ‘First Aid Pro’ and look for our great deals or call 1300 029 132 for more information. Sharon McCulloch is an experienced Emergency Care Registered Nurse, and First Aid Instructor. She runs her First Aid Training Organisation First Aid Pro.